There has been a lot of talk about Emma Thompson’s new movie Effie, which covers the sad and unusual marriage of Victorian art critic John Ruskin and his wife Effie, who scandalously divorced him to marry Pre-Raphaelite artist John Millais. Ruskin and Effie were married for several years before she divorced him, and when they divorced she was still a virgin. 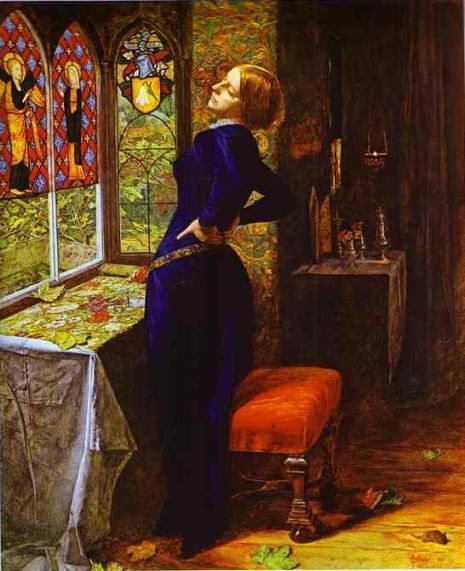 It occurred to me that I should write a post about Effie’s story because it has come to my attention lately that I have a lot of visitors that are new to the fascinating history of the Pre-Raphaelites. I’ve noticed that much of what I write is under the assumption that people who make their way to this blog have at least some knowledge already about the Pre-Raphaelites and perhaps that is a mistake on my part. 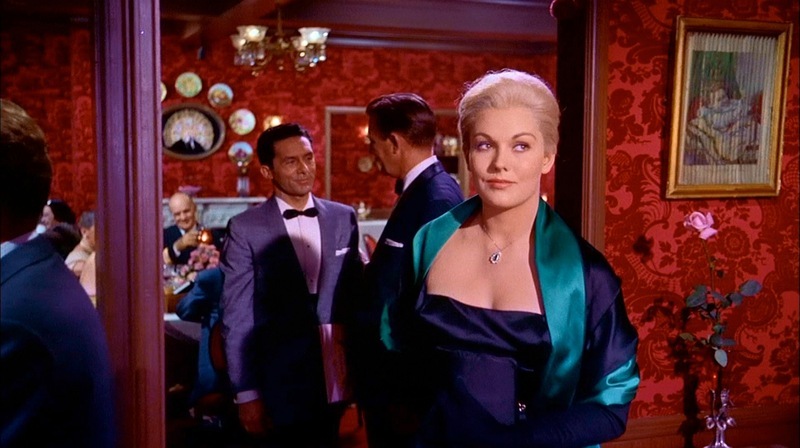 As I pondered a post about Effie, I said to myself, “You know what? Pre-Raphaelite marriages are strange.” The story of Effie, Ruskin and Millais is scintillating and unusual. Ruskin was decidedly one weird dude, but you can’t look at the strangeness of the tale as an isolated incident because for a relatively small group of people, the Pre-Raphaelite circle has some huge personal issues. So Pre-Raphaelite marriages will be my theme for the week. I started to write one long post about it, but it’s a daunting task. I’ll tackle each couple individually with the first post appearing tomorrow. To think about it, I find it quite funny that I would never judge or discuss a contemporary couple’s marriage since I have a live-and-let-live attitude and am not interested in what goes on behind close doors. But apparently if you lived 150 years ago and your marriage was slightly outside the norm and had even the slightest whiff of scandal, I am fascinated and will pick you apart with glee. 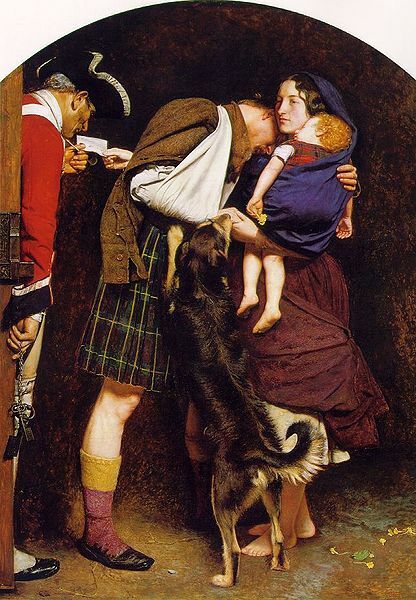 Probably the strangest marriages were those of Holman Hunt, including the proposal to Annie. Drove Annie up the wall and tried to send her to Australia, almost certainly led to the death of Fanny and then delayed marrying her sister for years. Don’t make me use his name for rhyming slang too. I’m not done with ‘Blunt’ yet. Kirsty, I’ve been loving your posts about Blunt and Jane. They are a little unsual, but not as unusual as you might think, seeing it from that point in time. If you read A.S. Byatt’s book “The Children’s Book”, which is loosely based upon the life of children’s writer E. Nesbit, you see more unusual marriages. As I look in The Netherlands, I can see around the same time, in some artistic circles, people searching for other ways of havind relationships (for instance creating a “Walden” or Arts and Crafts societies or Theosofical societies. I think you have to see these unusual marriages in the perspective of the filosofies and all connected with that. His first wife died almost certainly (her parents thought so for sure) because he took her abroad when she was pregnant to rough conditions. He declared his love to her sister but took several years to actually marry her. The strain nearly broke her and probably killed her Father. Her Mother never spoke to her again, nor did Hunts Mother (relented) and sisters. Not my favourite PRB as you may gather, despite his extroadinary paintings. You’re right Christa. Perhaps the most truly unusual marriages are the ones that are completely “normal” and uneventful. All of us are so flawed and have our own individual issues, that no marriage is going to be “normal” under scrutiny. By the way, I did enjoy ‘The Children’s Book’. I enjoyed the book, too, and actually, it opened my eyes. I’m so used to my own paradigm, that unconsciously I project this onto other places/era’s. Which is not right. There were more open and experimental in that era, also in relationships, than we think of. In the Netherlands for example we had the movement “The Tachtigers” (The Eighties”), a group of artists (living around the ’80). They also formed experimental living societies (as a Walden), and had a sisterhood (with the free raised and creative sisters Martha, Betsy and Kitty van Vloten, who were married to three artists: Frederik van Eeden, Willem Witsen and Albert Verwey). I see similar atmospheres/patterns there. The book about these sisters van Vloten (Gezusters van Vloten, P.R.D. Stokvis, C van Uuden; ISBN 9789035132740, but not translated (yet) ) is a good example. The life of E. Nesbit, of which I now know only a little, is a good example too. By the way Kirsty Walker, I probably won’t be writing much about Blunt as you have read more about him than I have. I’ll just be linking to your posts. How bout FMB? – Into The Frame by Angela Thirwell,really is an eye opener into their complex relationships. Speaking about unusual marriages, and extension, unusual interests: Ruskin’s friend Lewis Carroll, like him simply felt more at ease in the uncomplicated and innocent company of the young (without any judgements or labels). 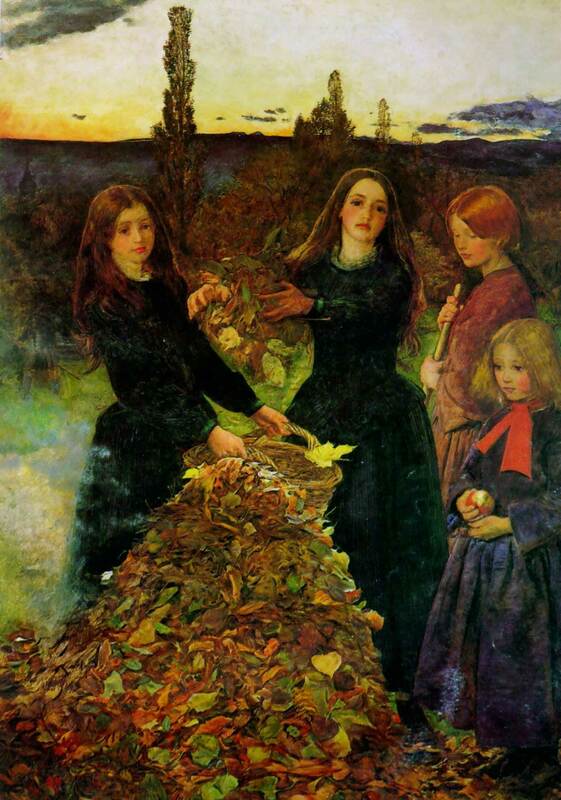 And more Pre-Raphaelite artists really liked to depict the young ones and their innocence. Ofcourse one more than another, and Ruskin was perhaps the most outspoken in this. I think if they all had lived in this time, perhapst in some issues, they might have had more problems. Also unsual in their time, but it did occur, was the situation around Oscar Wilde. The PRB were acquainted with him (and from my memory: Millais or Morris stayed loyal with Wilde, even in Paris). Well, sexuallity was a theme in the last part of the 19th century! Great comments Christa. Swinburne certainly had unusual tastes shall we say, and poor Solomon was caught like George Michael in a public toilet. I’ve often wondered though how things would have been different if divorce had been easier. Effy kept telling anyone who would listen that she was’t divorced but had never been married. Wish there was more information about Julia Margaret Cameron’s marriage..
Phew, no wonder you’re daunted! Gay Dally’s book PreRaphaelites in Love is a good, revealing read…just ignore her opinion on the later Rossetti paintings ;( H-H is the wierdest. I think they all needed hobbies. Oh, wait….. I love to read all the thoughts and comments. Thanks a lot for your blog Stephanie! Anybody knowing which biography is really good (with thorough research, not just a juicy story)? I follow your blog and i can tell you that apart from enjoying looking at paintings, i know close to nothing about pre raphaelite art. If you ever decide to do a more basic blog post explaining to some of us what you consider basic knowledge, i am sure a lot of people would like that (or at least i would). Discovering this site was like discovering a whole other world i had no idea about. Thank you Mya, I appreciate your comment. And good suggestion, I think it is something I should do. I think I’ll enjoy it.